In this Elseworlds book, Ras Al Ghul seems to have achieved his dream of reducing the worlds human population. However, he feels he needs to eliminate another 23 million people. 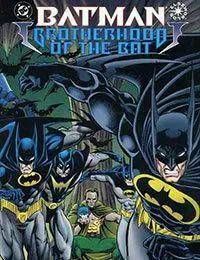 and he decides to move his base of operations to Gotham City, when he finds a Lazerous Pit in the Batcave. Wanting to police the people of Gotham City, Ras builds an army of Batmen, who kill criminals no matter how small their crime. However, Talia has other plans, so she trains her son (The son of Bruce Wayne) to take his fathers mantle, before Ras destroys Bruces good name. Damian joins the Brotherhood in order to take it down from the inside, knowing as he does, that soon he will have to face his grandfather, the Demon Head, Ras Al Ghul.